The School of Social Work at Boise State is committed to preparing students for rewarding careers supporting some of the most vulnerable populations in the community. Our graduates are fully prepared to begin successful careers dedicated to helping others, fighting for social justice, and working to make the world a better place. Social Work is a field of study dedicated to human rights, social and economic justice, egalitarianism, and respect for diversity. 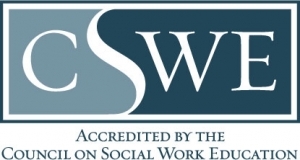 Social workers are employed in a wide range of industries such as health care, substance abuse prevention and treatment, governmental organizations, advocacy work, nonprofit administration, and much more. They work with some of the most underrepresented populations in our communities including the homeless, children in foster care, and refugees. Licensed Clinical Social Workers (LCSW) are also able to offer counseling services to help individuals improve the quality of their lives and provide clinical services to address more serious behavioral health concerns such as mental health and substance use. The social work programs at Boise State are rigorous and transformative. Our faculty work closely with students to develop them into future community leaders by providing a comprehensive and hands-on education. This program provides students with the support they need to find excellent internships in their specific area of study, whether that’s fighting for policy changes in the legislature, supporting reproductive rights at health care providers or any variety of causes working toward positive social change.